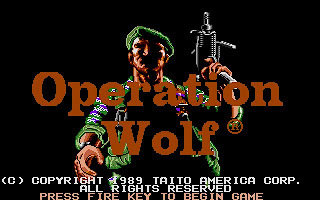 Operation Wolf is another famous title released by Taito. 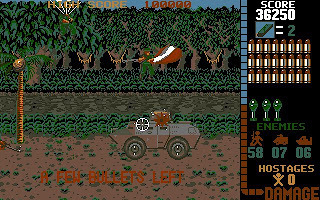 When I was young, Operation Wolf is indeed my favorite arcade game. The first time I see this game was in an arcade center. Seeing people playing it with the fake machine gun seems to be very interesting. The PC port arrives not much later, and it quickly become one of my favorite title. 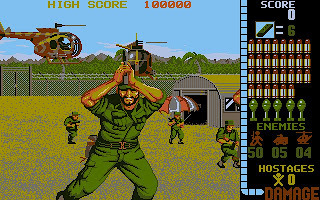 As Operation Wolf is an arcade game, it is extremely difficult to complete the game with a single credit. (What will the arcade shop owner earn if everyone can complete the game with a single credit right?) We need lots of practice and memorizing the level in order to finish the game. 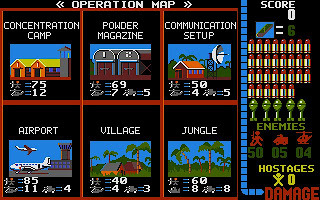 There are six levels in Operation Wolf. And the difficulties is increasing in higher level. Our weapon is a very slow machine gun and a limited amount of grenade. Most of the time, the screen will be full of enemies. We have to memorize where the soldiers come into screen and shoot them before they shoot us. After each level, we will be rewarded with a simple screen with some description. And below is the screen where most people will see with only one credit. 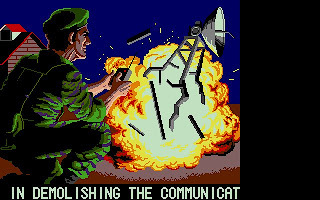 To see another level ending screen with a single credit is a daunting task. And to be honest, I seldom reach the Airport level even with months of training, and only finish the game for 2 times. Try your shooting skill with Operation Wolf. Test how far you can go with a single credit. Get the game here.